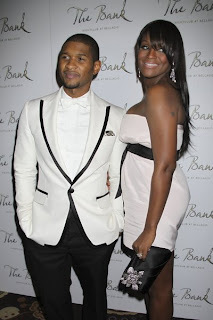 Sources are reporting that Usher's wife, Tameka Foster, has suffered major complications from plastic surgery performed in Brazil. She gave birth only two months ago. A neurosurgeon has been flown from the U.S. to Brazil to help with the situation. Details are still sketchy, but this case appears to highlight the dangers of having any medical procedure performed in another country. Plastic surgeons certified by the American Board of Plastic Surgery adhere to strict education, experience, safety, and ethical standards which just aren't comparable to care given in other countries. The American Society of Plastic Surgeons has issued a cautionary statement to the public regarding 'medical tourism.' Also, your health insurance will probably not cover medical care given in another country and the complications that can ensue. Why would a neurosurgeon be flown to Brazil for a plastic surgery-related complication? I'll give some of my thoughts in tomorrow's post. Tom Cruise Visits Brazilian Plastic Surgeon? Does Michael Jackson Have An MRSA Infection?